With finances tight at the club, Gor Mahia continued to pursue local targets as they seek to strengthen the side ahead of the 2018-2019 season. A report on goal.com states that Kogalo are pursuing Moses Mudavadi of Kakamega Homeboyz. The winger is vastly experienced, having played for Homeboyz since 2013. A war of words ensued between Gor Mahia CEO Lodvick Aduda and his Bandari counterpart Edward Oduor after the former travelled to Mombasa last Friday to reportedly woe Abdallah to the record SPL champions. “Bandari football club wish to state categorically that Abdallah Hassan like other players in the team has a binding contract with the club and is therefore not for sale. We have no intention of selling any player to Gor Mahia or other potential suitors since we are top contenders for the league title next season,” warned Oduor adding that K’Ogalo should emulate Bandari by grooming their own players instead of going on a poaching spree every transfer window. In a quick rejoinder, Aduda has denied approaching Abdallah over a transfer to Gor Mahia. “I clearly stated that I was travelling to Mombasa to sign a Coast Stima player whose identity I will only reveal after we are through with the deal. I don’t know where news of Hassan Abdallah came from,” said Aduda. His sentiments were backed by Abdallah who revealed that Sofapaka and Ulinzi Stars are some of the top clubs that have contacted him. “Yes it is true that several clubs have approached me among them Sofapaka and Ulinzi but Gor Mahia is yet to approach me. Bandari fans should treat those reports as rumours,” offered Abdallah before pledging his allegiance to the Coastal outfit. I today presided over the contract signing of the construction of a 20,000-seater capacity ultra-modern stadium at the Siaya County Headquarters. The construction will seek to increase access for all Siaya citizens to modern sporting facilities required for quality sports talent development and exposure. 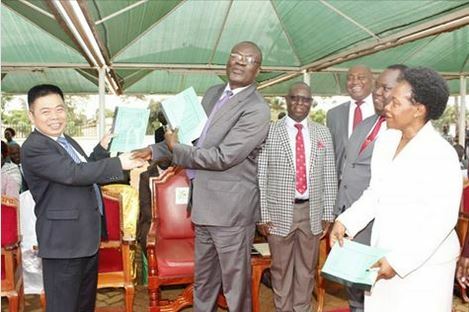 The stadium will also provide international sports arena for major national and international events which will attract revenue and create direct and indirect employment opportunities for Siaya County residents. The stadium shall also lend itself to socio-cultural events, gatherings and conferences. The contract has been awarded to JIANGSU PROVINCIAL CONSTRUCTION GROUP COMPANY LTD. The construction works will include the main block, external works, sports pitch, amphitheatre, toilets and sales points, electrical installations, mechanical installations and floodlights. The construction work is projected to take a total of 44 weeks or 10 months from the day of the ground-breaking occasion which will be in about two weeks’ time. Addressing the contractor and members of the public at the contract signing ceremony at the County Headquarters earlier today, I directed that all non-technical jobs be done by the local community members at fair rates.I further directed his officers to closely monitor the construction process and ensure compliance with this directive. “I encourage members of the public to fully participate in the construction process and frequently report to me the progress of the construction works because these are public funds that must be properly utilised with the vigilance of the members of the public”, I noted . My Deputy Governor His Excellency Dr. James Okumbe, encouraged the local business owners including hardware owners, suppliers, sub-contractors, the hotelier industry and those in the business of small-time food services to take advantage of the business opportunities that this construction brings with it. Present at the contract signing ceremony were all members of the Siaya County Executive Committee led by the County Secretary Mr. Anyona Dave, representative of the County Assembly Hon. Edwin Odhiambo of South Sakwa Ward, County Government Chief Officers, Directors staff and members of the public all who lauded the initiative and committed to support the Governor in his legacy initiatives in the coming years. Kenneth Muguna is back training with his former team-mates. And he is looking forward to picking up from where he left off at the end of the 2017 season. “Finally It feels good to be back home. I got a warm welcome so I am just waiting for the job to begin,” Muguna told goal.com. Muguna joined former Kogalo coach Ze Maria at KF Tirana along with Musa Mohamed. But their stints were unhappy. First Musa left due to a pay dispute. Then Muguna left in Mid 2018 as the club appeared not interested in signing him to a new deal. And now coach Ze Maria has also been dismissed. Muguna who was born in Kisumu, started his career are Western Stima. While there he earned KPL midfielder of the year honours, before joining Kogalo at the end of the 2016 season. He was a favorite of coach Ze Maria and found his way to the starting line-up of the national team. 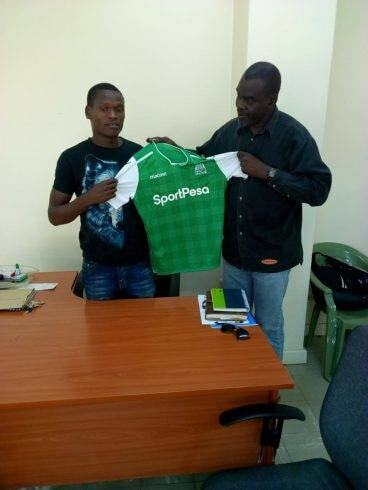 However Muguna knows that he will have to convince the new coaching staff of his abilities. Muguna thinks his stint in Albania has made him a stronger person which will manifest itself in his performance on the pitch. “I learnt a lot, the lessons go beyond my football life. That is a different set up by all standards, including culture and style of playing. Being away from home teaches you lessons that you cannot get locally with all due respect to local clubs. I hope the experiences make me a better person and player as I return home,”. he continued. He noted that even in Albania which is one of the poorest countries in Europe, the structures are much better than in Kenya. “It is not the players who are very different from ours here in Africa, it is the investment for the sport all round. For example, most clubs there have their own stadia and training grounds. They have hotels for their teams and proper kitting, some of the things that ease the aspect of playing and training,” he said. 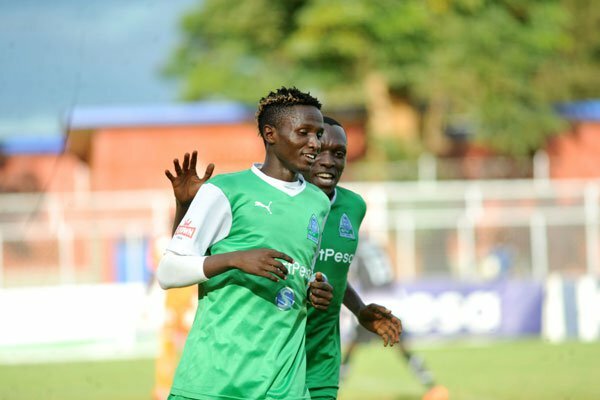 When Kogalo last played Everton in Dar es Salaam, Muguna was one of the best players on the pitch and he is looking forward to once again putting his best foot forward against the EPL side. 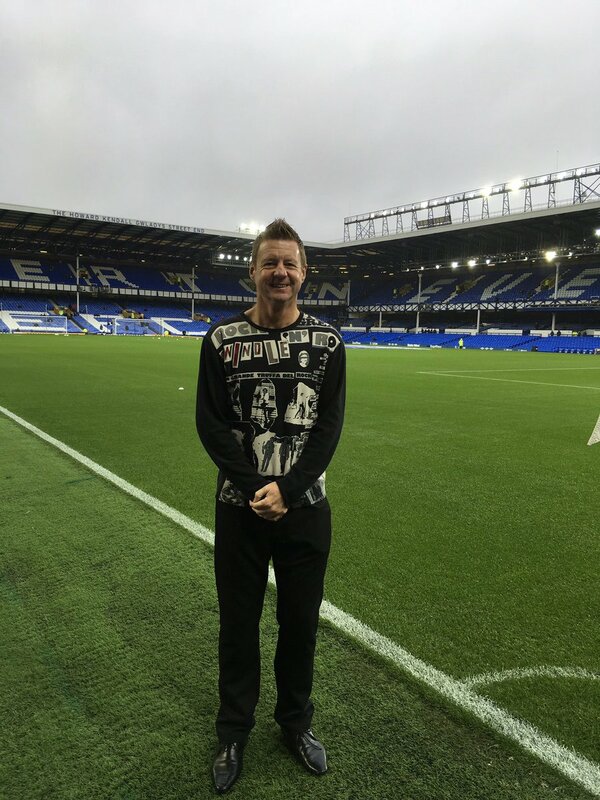 Coach Dylan Kerr, who is currently in the UK scouting Everton, is confident that his side can put on a good show. Speaking to UK journalists, Kerr was adamant that Kogalo can be competitive despite the gap in class. 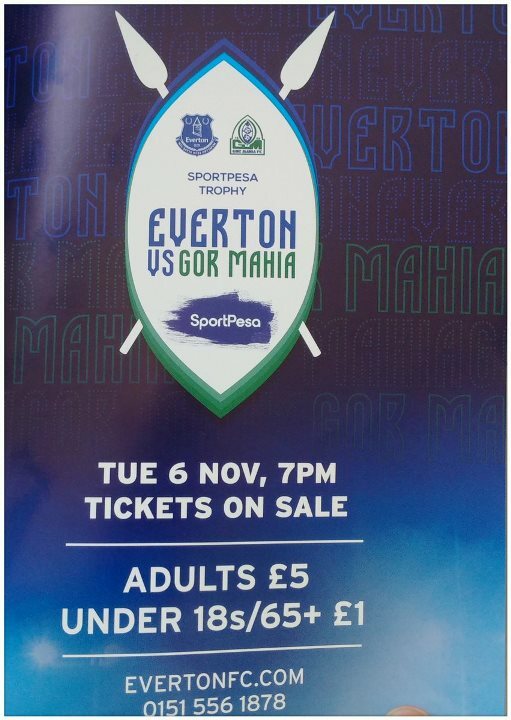 “Everton are a different class and it is going to be very difficult against them,” he said. “But I think we can compete. 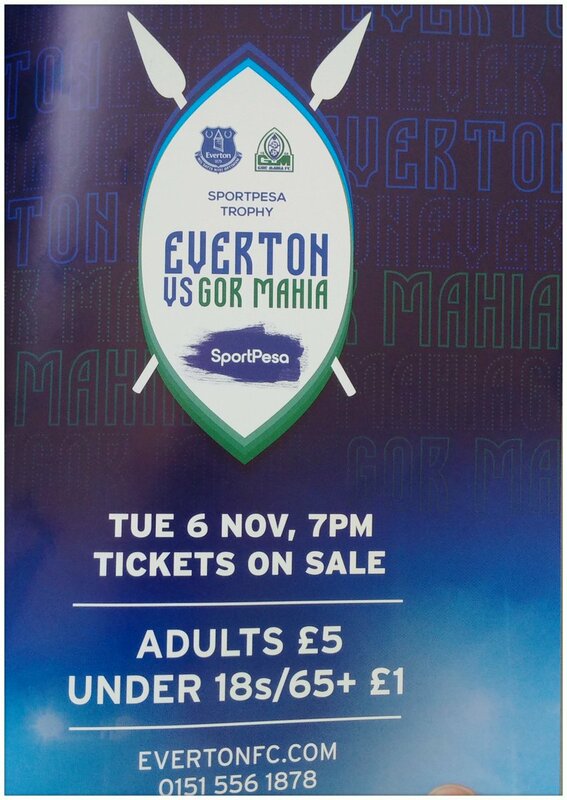 Kerr was however accepting of the fact that a win for Kogalo at Goodison is unlikely. “Whether we can win, that’s a different story but what I know is that when we are at our best, we can give them a good match. 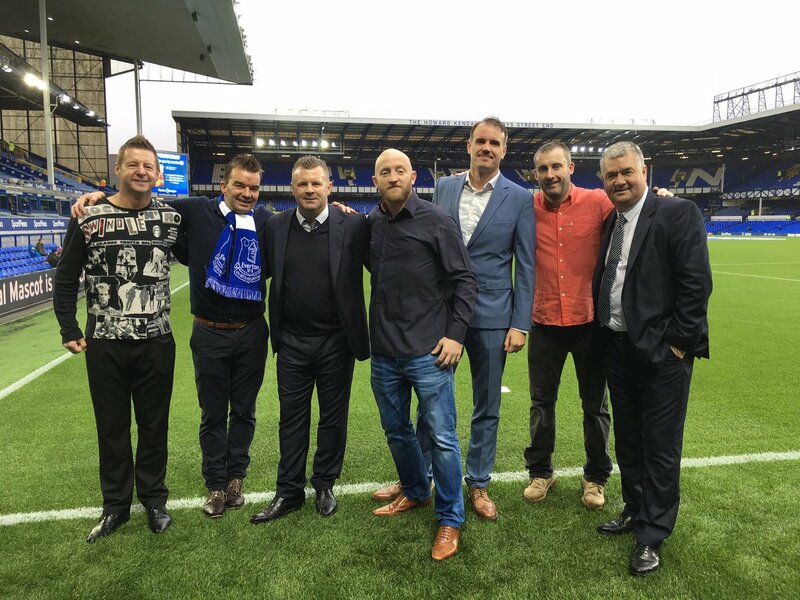 Kerr also spoke about his visit to Goodison and how he has spent his time scouting Everton players. “It was brilliant to come [to Goodison on Sunday] and watch them play. I was on the pitch and it’s an immaculate ground. The players meanwhile resumed training for the Everton clash under coach Zedekiah Otieno. 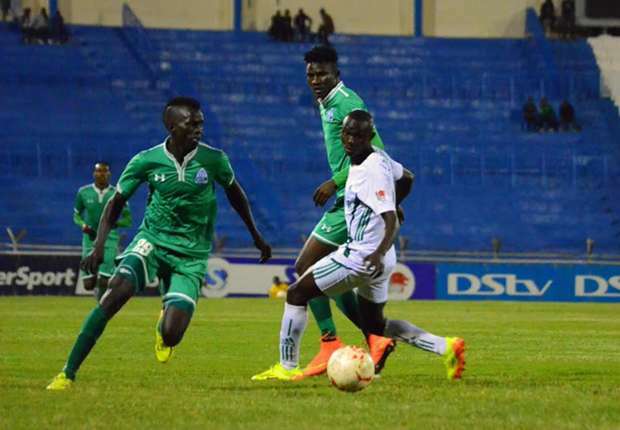 If Gor Mahia are to come away with a respectable effort, much will depend on the defence led by Captain Harun Shakava, Karim, Joash, Wafula and others. Shakava says the players look determined. The Kenya premier league released the list of nominees for the KPL awards. Over the past few years, Gor Mahia has had a nominee in almost every category. This year however, Gor Mahia is conspicuosuly missing from most of the categories. The most notable absentee is Francis Kahata whom many fans were sure would be nominated for midfielder of the year.